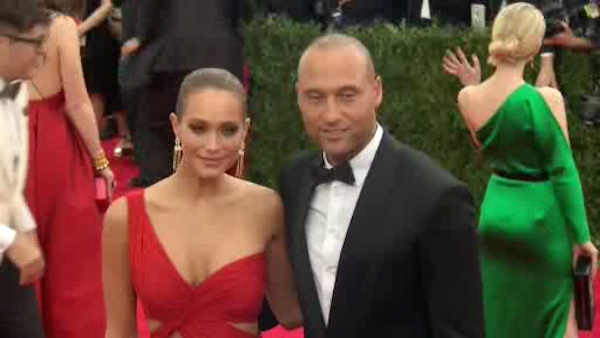 NEW YORK (WABC) -- New York Yankees legend Derek Jeter has tied the knot with his long-time girlfriend Hannah Davis. People Magazine reports he married the Sports Illustrated swimsuit model Saturday in California. The couple reportedly married in an intimate ceremony at a Napa Valley resort. Jeter, 42, and Davis, 26, dated for three years before getting engaged in the fall. Jeter retired in 2014 and won five World Series titles over 20 seasons, all with the Yankees. He is expected to be a first-ballot Hall of Famer when he is eligible for induction in 2020.